A memorial plaque dedication is a distinguished and eternal way of paying respect and tribute to the memories of our dear departed loved ones; showing the prominent place they occupy in our place of worship and in our hearts. Our sages tell us that the best memorial for a loved that has passed on is to donate Tzedaka (Charity) in their memory. You can dedicate a bronze plaque on the Memorial Wall with a $360 Tax-Deductible contribution. Each plaque will be engraved with the name of the deceased, (Hebrew & English), and date of passing on the Jewish and secular calendar. 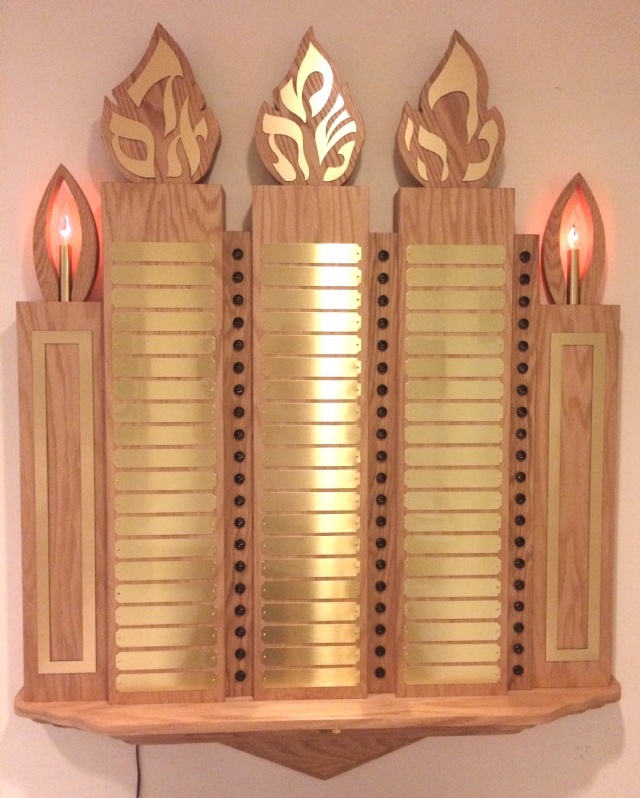 There will be a light next to each plaque, that will be lit during the week of the Yartzeit, on the High Holidays and for all occasions when Yizkor is recited. You will also receive an annual reminder about the day of the yartzheit.